Buy Diazepam Mexico The Hilltop Gardeners have requested a name change for their periodic work with the Rowayton Gardeners (formerly called “garden therapy”). 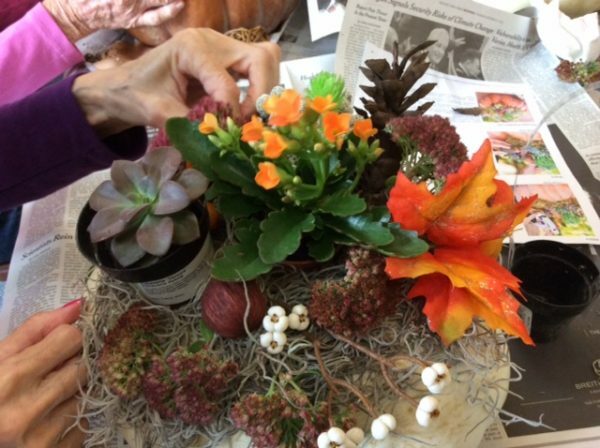 This lively group enjoyed a recent work session overseen by our Club members Ellen Bieber, Rilla Neafsey, June Foster, Ann Purcell, Bev Hennessey and Susanne Miller using pumpkin containers to create fall arrangements with plants. A second workshop featured decorating clay pots and planting them with paperweight bulbs.